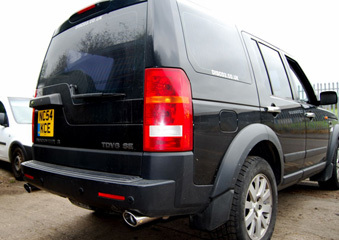 Griffin Performance present the new performance exhaust for Land Rover. Our performance exhaust systems are made in the United Kingdom to the highest build quality and specification from aircraft grade stainless steel. The performance exhausts maximise the removal of hot gases reducing the stress on the turbo and engine. The exhaust note is power full but not intrusive. The exhaust helps with low down torque and overall power, this normally gives a 5-18 bhp increase, the more the engine is tuned the better the efficiency of the exhaust. Designed specifically to get the most out of your Land Rover, Griffin performance systems maximise gas exit from the engine with the only 3 inch bore on the market, boosting power and torque. Griffin Performance exhausts are built to the highest specification from 304t stainless steel. 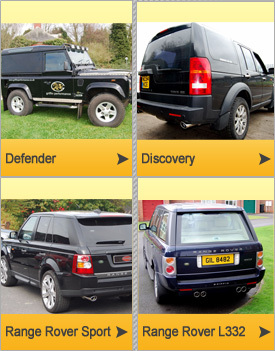 The various models have been developed for ultimate performance or a unique look for your land rover. The discovery and range rover models give the unmistakeable Griffin look of quality and power but keep the engine sound and performance very similar. There is a fuller system under development to increase the exhaust note to a sporty deeper tone for those who desire it.